It is Cherry time again and who doesn't like them? They are just great and healthy for us as well. In a previous post about Cherries before I told you of the fantastic healing qualities of the dried stems, today I will give you two typical Turkish Recipes, one for a Cherry pickle and one for a Cherry Jam. You can pickle probably almost anything and Cherries are definitely one of those things. These might not be to every ones taste but just think of lovely pickled cherries on a ploughman's lunch plate or arranged delicately next to a chicken breast. Wash, clean and destem cherries put into your jars. Fill your jars 3/4 of the way with water and add salt to taste to make a moderate brine solution. Add in half a teaspoon of citric acid per container. Close jars and store for 2 weeks before tasting. If you make one large container ie plastic container you can add in a sliced lemon. For those of you out there who aren't familiar with brining here is a basic recipe. 1 cup of salt to every 4 litres of water. Taste that and if you want stronger or lighter use more and or less salt. To do cukes you can use 1 tsp salt to every cup of water. It all really depends on your palate and whether you are on a low sodium diet. There are jams and there are jams. I come from Australia and here we like our jams nice and thick so it will stay on a piece of toast or balance on a scone. When I went to Turkey my whole idea of jam was challenged. To the Turks jam is a watery affair that your bread needs to be dipped into. Wash and destone cherries. Place sugar and water into a saucepan and bring to the boil. Boil for about 5 minutes then add in the cherries. Continue to boil mixture and add in the citric acid. Boil until the mixture thickens slightly or until it forms a ball on a plate. Take off the heat and cool then bottle(can). I hope you like both of these recipes as I said before these are 2 Turkish recipes. 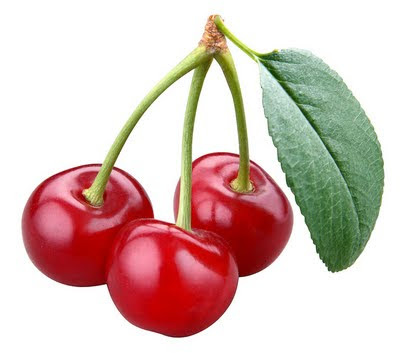 If you google cherries you can find lovely pies and desserts but they wouldn't be Turkish. If you have a Turkish boyfriend or husband or friends make these recipes for them and I'm sure you will be able to win some points. Tell me readers what food do you make that can give you some sure points with your loved ones? Tomorrow I will be starting the next leg of my trip to Istanbul and then onto Australia. I havent been back for 7 years. My husband and children will be coming with me and this will be part of our lifes journey together. My 4 year old and 2 year old have never been there,they dont even realise that they are speaking 2 different languages. They will be exposed to a completely different way of life, new people and even a new diet. My blog will still continue even though I will not be in Turkey as I will still be cooking Turkish food for my husband and family. We will be in contact with other Turks and I will be commenting on the food I find there, whether or not they have stayed true to thier roots or westernised the food to suit Aussie palates. Readers bear with me while I make this transition and I will be contact soon with lots of photos and recipes. We have seen Rose Water slushies, Rose Water Bicibici and now Rose Water Ice. There is a man here that makes Rose water like this and it is a real treat, if you have an icecream maker at home you can make this very quickly and serve as a sorbet replacement at any dinner party. If you dont have an icecream maker you can see this man has butchered a large water cooler and placed an aluminum container in it to make his icecream. This has a softer texture and is much nicer than the slushy. We are having lots of adventures whilst saying farewell to relatives and friends in the past couple of weeks and some of those have been culinary. This delicacy is definately for the adventurous. This is a sheeps gall bladder that has been cleaned and stuffed then boiled. One man even told us that there is a sheep gall bladder maffia in this area and they make sure that no one is hogging the market as they are buying and selling. In this town there is only one man that comes out at night selling this dish. This dish is famous as a alcoholic bing after food. Personally I couldnt think of anything else worse to look at let alone eat whilst being drunk. Maybe you need to be a bit sloshed to eat it. For all of you out there that slaughter your own food I have the recipe. It is very easy and you can make it out of either sheep or goat. Since animals only have one of these it makes it a delicacy. Take your gall bladder, clean it out then boil until soft(dont know how long that would take as I havent made it and am not likely to). Im thinking you would need at the most half a cup of rice per gall bladder. Take 2 tablespoons of tomato paste, spices to taste and 3 tablespoons of oil. Mix all this together and stuff the gall bladder. Take some thread and stitch the opening closed. Place into boiling water and cook until the gall bladder is soft to the fork. Drain and serve. We are saying farewell to Gaziantep and to Turkey for awhile returning to Australia. Before we left Antep I had to see the new Mosiac Museum. It was fantastic and well priced at 5 lira per person. New modern buildings with a fantastic amount of mosiacs. They found these mosiacs on the banks of the Euphrates River and took most whole and put them into this museum. If you have a chance to see it it is worth the trip. Todays Zaman had this to say about it. In my own country we have a brand name that sells Turkish delight which is covered with chocolate and marketed as Turkish delight. That is delicous but when in Turkey it is interesting to find out that Turkish delight - Lokum covers a whole range of sweet meats and not just the globulous squares we usually see. They start with the squares with or without nuts, long sausage things on strings, marshmallow rolls to not so sweet triangles with nuts in the middle. There are a whole lot more that I havent spoken about but will likely do in the future. I say let the kids have the lollies for the festival, I will take these any day over those. My posting this month has been slow as we are on holiday and I cant always access the net. Şeker Bayram (Lolly festival) follows the month of Ramazan, this holiday lasts for about 3 days during which the Turks go and visit thier families and hand out lollies (candy) to the children and some give money. Some children will go door to door of known neighbours and family members collecting as much as they can. Its probably not the Turkish version of Halloween as there is no dressing up. The streets of some areas are filled with large bins of lollies. Yuvarlama is a regional special of where I am at the moment - Gaziantep. It is delicous and has variations. Today is the day it is eaten ( the day after Ramazan has finished) so this morning at 8am a neighbour came and gave us a generous amount for our breakfast. A bowl of rice pilav also came. After eating this another neigbour came and gave us thier offerings. Neighbour 1 had the tiny köftes made without meat and had a couple of pieces of meat in the yogurt soup. Neighbour 2 had the köftes made with meat and some chicken in with the yogurt. Neither had used a meat stock to thin out the yogurt. As you can see even though the recipe is standard people do whatever they like or whatever they can to suit the budget. What is Yuvarlama when it is broken down? It is a dish made with little rice bubble sized meatballs made usually with fat free mince(ground beef)and coarsely ground rice flour. (Neighbour 1 had just made the köftes out of rice) These are then steamed and added to a yogurt soup that has a very small amount of beef or chicken and chickpeas. Then on top of that they have a bright green mint sauce. This is a time consuming job as you can imagine, most people make a kilos worth of meat and 500gr of rice flour and then make tiny tiny meatballs. All the neigbours will sit with each other and get them all done over the period of a couple of days. Take the yogurt and put into a saucepan add in 1 cup of water or stock and whisk together. You dont want this too thin or too thick. Should be the same consistency of a tinned tomato soup. Put the saucepan on the stove and heat slowly wisking well, dont bring it to the boil. Add in the cooked meat and chickpeas and then 4 cups of prepared köftes. Add in more water to cover and cook on a medium heat until everything has come together nicely which will take about 15 minutes. Take off the heat and make the mint sauce. Using about half a cup of olive oil and 4 tablespoons of mint put into a small saucepan and mix well, keep on the heat for a couple of minutes. Pour ontop of the Yuvarlama and serve. A couple of things to remember - you can make the meatballs with just the rice flour - you can use chicken mince to make the meatballs - you can omit the egg if you are making the meatballs with meat or chicken - if you dont like mixing meat and dairy do a chicken version or a meat version with rice meatballs. 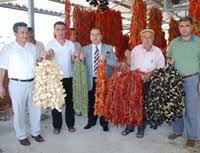 Gaziantep is famous for its dried chillies and eggplants that are then turned into stuffed dolma later in the year. You can buy them pre dried at the various herbal/dried goods shops or make your own. Making your own is preferred by most of the local women as they know that it is fresh and done properly. At the moment in the Bazaars you can get a kilo of eggplants for 25kurus so now is the time to buy for drying. The hot chillies are also very cheap and most women have started if not finished this yearly chore. The women will sit on the streets for hours with thier neighbours cleaning out the little eggplants. Each household probably doing at least 50 kilos each. The women will do one household at a time. The more neighbours you have the less of a chore it becomes as everyone helps each other. After hanging the eggplants or chillies in the sun until they are dried they then store them ready for winter eating. At this time the women also make huge amounts of pickles and dried pepper and tomato paste as the prices are down and the sun is still hot. Last year I just did 20 kilos of each but wont be doing any this year as my neighbours have given my enough to cover our needs. Some women also dry zuchinnis for stuffing and tomatoes. I personally think that the dried tomatoes are the best as the taste is fantastic. If you dont have enough sun to do this you can find a decent dehydrator and make these yourself. As you all know from my previous posts I am into Urban Foraging/Gleaning. I have gone to ancient castles and picked caper berries, gleaned black pepper corns at ruins and picked various wild greens along the streets and parks. But what about something that is not technically gleaning or foraging but is still finding a full meal in a public place? Well in Turkey during Ramazan(Ramadan)this is made possible at various spots sponsored by local governments. They set up huge tents and serve free food every night for anyone who is interested for the whole month of fasting. So yesterday evening we lined up at our local tent to see what they were offering. The food was really good. They gave out a lentil, rice soup and hot stuffed rice filled peppers. There wa also a small amount of fried dessert and a couple of olives to break the fast. I say be adventerous when it comes to foraging and gleaning(as long as it is legal) you just never know where it will lead you and what you can find. Hello to all my readers. I havent been able to post for a couple of weeks as Im sure you have noticed as I am having technical problems on this end and with a 2 year old and a 4 year old it makes it nearly impossible to be able to go out to the internet cafes. Until my next installment hope you enjoy this Tarkan video. I like Tarkan so hope you all do too. This is a lovely, filling, easy köfte dish to make that most if not all people will eat. You can make the Köfte ahead of time and freeze making this a very quick meal to make. You can either use chicken breast or chicken on the bone to make this dish. Most people will use chicken on the bone that has been cut into small pieces. Take a saucepan and put the chicken pieces into it, cover with water bring to the boil and then simmer until the chicken is cooked. At this time add in the pepper paste, cooked chickpeas, salt and pepper then taste. Add in more water until it covers the chicken well and bring to the boil. Turn down to a simmer and add in the köfte. While the köfte is coooking stir a couple of times. The water level needs to be above the köfte. If you need to add in more water only add in boiling water at this time. When the köfte are ready they will rise to the top. Taste again and if needed add in more pepper paste and salt. Take off the heat and serve. If you want to use chicken breast for this I would recommend frying the chicken pieces in some olive oil then adding in the water or chicken stock and following the rest of the recipe. The reason why chicken on the bone is used is because the flavour is nicer and you are cooking the chicken first then using that stock to create the base of the dish. I usually have in my freezer cooked chickpeas and prepared bulgur köfte making it easier to have dishes like this or pilavs on the table quickly. Hope you enjoy this as it is a hearty meal yet not too heavy. I will be giving a bulgur köfte based recipe for each week for the rest of the month. Making Köfte (meatballs) out of bulgur is very easy and the base of several dishes in Turkey. You can either make them the hard way by hand or just put everything into your food processor and process with the metal blade until the mixture comes together. The size of these should be no bigger than the size of the average catseye marble or smaller. Put the bulgur into your food processor bowl with the metal blade. Add in about 2 tbsp of flour, salt (to taste) and about 4 tbsp of water. Pulse until well mixed, look at the mix if it is dry keep adding in very small amounts, tablespoonfuls at a time and keep pulsing until the mix is soft and pliable. Use your judgement to decide the flour and water amounts. This dough should be able to hold together when being cooked. Wet your hands with water, some people use oil, try both and see what works better for you. Take marble sized pieces and squeeze together to make sure the mix is bonded then roll well into small balls. Keep wetting your hands while you work your way through the mixture. Dont make them too wet or your mixture will become too wet to work with. You have to be confident and fast when working with this dough as it dries out quickly making it harder and harder to be able to form the köftes. If your mix becomes too hard add in a very small amount of water and knead through or using very wet hands knead it again until it becomes pliable. Two cups of fine bulgur is enough to feed a family or enough for a buffet sized dish. To cook the köfte put a large saucepan filled with water onto the stove and bring it to the boil. In the water add a splash of olive oil. When the water comes to a rolling boil add the köfte. They dont take long to cook. When they come to the top which is in about a few minutes take a slotted spoon and lift out of the water and put onto a plate. You can eat these as is with an olive oil, tomato based dressing or add the köfte into soupy dishes to make hearty meals. Coming up on Friday I will give you a easy dish using these köftes.. The Döner is an institution in Turkey and you can see it in restaurants and on the streets. It can be cheap to expensive depending on the area you go to. I have lived in various cities and different areas in regional cities. Some give hearty servings on lavash bread, some go for bread rolls with very little fillings and if you are in Gaziantep you are the luckiest for Döner. Here we discovered the many faces of the Döner. They use a full sized pide with generous serves of salad and hot chillies. The fillings are varied as well. Most places in Turkey really just offer chicken or beef but here you have more of a choice. The above photos are showing a half portion of a chicken döner, a spicy and plain chickpea and the liver (Ciğer Kavurma). There is another they do with red lentils and bulgur which is delicous but not many places do it and if they do they offer it in winter. If you want to make these at home can you? yes of course you can and I will tell you how. I have given the link for the liver one. Liver may not sound tempting but let me assure you it really is. For a chicken or beef all you need to do is use left over cooked chicken or beef slices. The chickpea one is very easy and a staple of most of the blue collar workers here in Gaziantep. They usually get one or two of those with ayran for lunch everyday. In Antep the price ranges from 1 lira to 2 for the non meat ones with the chicken or beef set at 1.75 to 2 lira. It is a very good price and very filling making it an ideal quick well priced lunch. Take your cooked chickpeas and half mash with a fork. Add in the pepper paste to taste along with the salt and chilli. Cut up some lettuce, tomato and parsley to make a salad. Using arabic style pita bread or lavash and place 2 or 3 tbsp of the chickpea mix onto it then adding salad and rolling up. If you want the liver or chicken or beef follow the same process but just by substituting. Labels: Chickpeas, Ciğer Kavurma, Döner, Lavaş. Flour. Flat Bread. How to Make Lavash. When you think of Summer Vegetables and Im sure that the tomato has to be one of the first that come to mind. There are so many different kinds too, from the tiny to the huge, from the green, yellows, pinks and reds. We should all know by now that the tomato is a fruit and not a vegetable and that it is very healthy for us. Tomatoes are an wonderful source of vitamin C, vitamin A, and vitamin K. They are also a very good source of molybdenum, potassium, manganese, dietary fiber, chromium, and vitamin B1. In addition, tomatoes are a good source of vitamin B6, folate, copper, niacin, vitamin B2, magnesium, iron, pantothenic acid, phosphorus, vitamin E and protein. This makes them very good against all kinds of cancers especially prostate in men. Heart disease and as well high cholesterol. 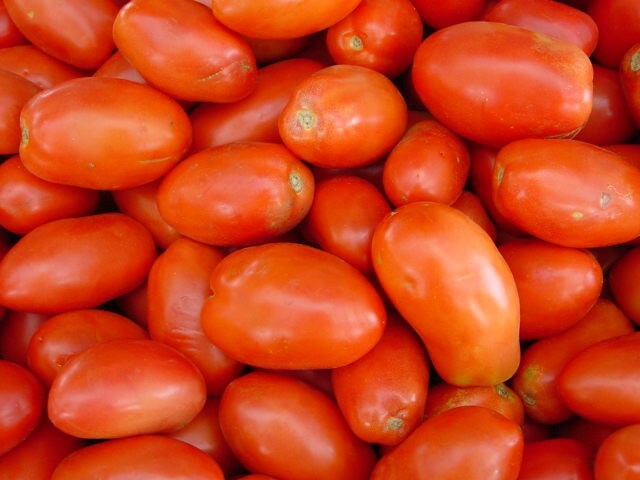 They say that cooking tomatoes or consuming tomato sauce(ketcup) is better than eating raw as it delivers more of the anti cancer fighting goodness to your bodies. Dr Saraçoğlu says that besides being a powerful antioxident, good against cancer it is also excellent for those with eye problems as it relieves high tension in the eyes, stops the heart from getting bigger for those who regularly do heavy lifting, good against cholesterol and for balance problems. He has given a protocol for those with high blood pressure and for althetes or those who do regular heavy lifting. Blood pressure and heavy lifters he recommends a glass of tomato juice half an hour before a meal 2 or 3 times a weeks. For athletes a glass of tomato juice with breakfast to help protect thier hearts from growth. This Summer buy tomatoes in bulk and preserve, make your own sauces and chutneys. Eaten any way the tomato really is a Kitchen Miracle. Who dosnt need something cool and refreshing on a hot day! Rose water is just the thing. We had these the other weekend on a hot hot day. Floral water with a light, delightful fragrance was just what we needed. Rose water as a cool drink is one of Turkeys famous sherbets. 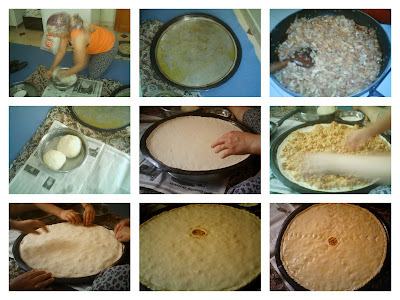 İt is very easy to make at home. Can be drunk straight or add some vodka for a bit of a punch. All you need is a bottle of rose water to start with. (If you cant find it try looking at an Indian grocer or a Middle Eastern store) Make a simple syrup with 2 cups sugar - 1 cup water. Boil for 10 minutes, cool and add to a tall glass that is half filled with water and the desired amount of rose water. Stir well and taste. Adjust to your palate. Add in some ice and serve. These photos were taken at a park where they have been selling rose water for generations along with Bicibici and other traditonal delights. Several years ago it was served over large pieces of ice but they have changed it to meet the changing culture and made a kind of slushy. Which was lovely but I prefer the more traditional one as a long drink. If you just cant find rose water but you have a garden full of roses why not make your own. I have and its very easy to do and very rewarding. You need to have a pink fragrant climbing rose that you havent sprayed. Put several handfuls of the petals into a large clear container, fill with water and leave in the sun for a day until the colour is a lovely dark pinkish red. Drain the water off the petals and add a tbsp of citric acid and store in the fridge. 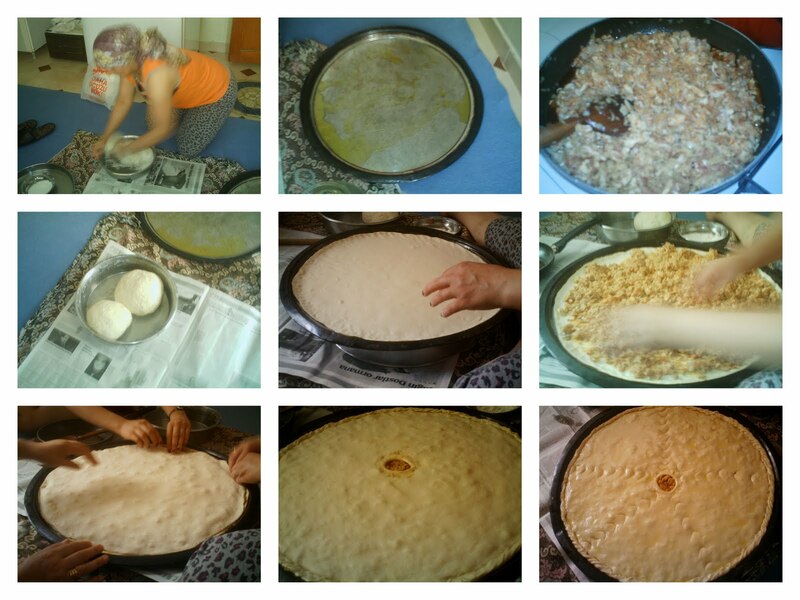 When I was over teaching english, the students mother started making börek as she had visitors coming. She said it was Kömbe. I was surprised as I thought she would have to make more dough and as you can see in the photos she only prepared 2 large balls. I questioned her about it and she said no Im making Kömbe. This woman comes from the same area as my husband even from the same village but this was not the Kömbe of that area. I asked her which region is this from. She said it is Antep Kömbe, that started making a bit more sense to me then. Her husband is from Hatay and she said they aslo make it there. This Kömbe is different to the other recipe I posted here, instead of being multi layered it has a bottom and a top with the filling in between so more like the pies I am used to. She made the dough and kneaded it. Made the filling and par cooked it. Placed the pastry base on the tray. Put on the filling. Put the top on. Made a steam vent then decorated it. This was all cooked on a large tray then taken to the local bakery to be cooked. Make a nice soft dough and let sit for 30 minutes. While that is resting finely dice the chicken breast and put into your frypan with a splash of olive oil. Add in chilli powder to taste. Finely slice onions and add into the pan. Cook this for about 5 minutes until the chicken turns colour and take off the heat. Divide the dough in half. Take one of the balls and roll it out and fit to your pan. Spread all the cooled filling ontop. Roll out the other ball to fit your tray and place on top. Roll the edges together then take a knife and cut in a steam vent in the middle. Using a spoon, press lightly onto the börek surface and decorate. Spread over a couple of tablespoons of olive oil on top of the dough. If you dont have a local bakery that will cook for you. Cook this is a very hot oven until the pastry is done. I have no photo of it cooked as I had to leave before she had come back from the bakery. Her daughter came knocking on my door about an hour later with a plate of Kömbe. We enjoyed it so much that we forgot about taking a shot of the end product. 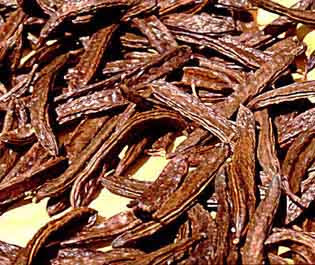 Carob is usually recognised for its use in baking as a chocolate substitue. Some love it, some hate it. I quite like it and have made many things using carob. After coming to Turkey İ found out that they make Pekmez out of it as well. Carob has come to my attention recently in regards to finding a natural remedy for asthma and broncial infections. I again went to the famous herbalist Dr Saraoğlu and consulted his records regarding this and found out that Carob is very benificial for asthma and allergic asthma, plus a few other things. He has a protocol to follow that he says can greatly reduce the symptoms. Carob is native to the Eastern Mediteranien Area and has been cultivated here for thousands of years. Some even say that John the Baptist ate carob pods while he was out in the wilderness. Carob is celebrated every year in Israel during the festival of Tu B'Shevat which is an annual festival celebrating trees. Carob is not only very nutrional for humans it can also be fed as a supplement to livestock. Carob is full of vitamins A,B,D and E and packed with protein. It has alot of fiber so is also said to be good for weight loss . Carob will stop diaherra and constipation. Carob can be used as a treatment to help prevent lung cancer. Carob will increase sperm count, quality and movement. The protocol for asthma uses the whole pod. Get 6 - 7 carob pods and wash under cold water, break into 3cm to 4cm lengths then place into a kettle with half a litre of water. Boil on a light to medium heat for 8 minutes. When it cools strain and place into a glass bottle in your fridge. This can be kept in your fridge for up to 3 days. Drink 125ml every morning with breakfast and every evening before dinner. Do this for 20 days. Then after the 20 days continue for another 15 days. So no break in between. For the 15 days do the same thing morning and night but with one difference. Add in half a teaspoon of honey in with the carob tea at breakfast time. Just adding at breakfast not at night. So for 20 days just the tea. For 15 days after that the tea plus honey at breakfast time. If you want do to this for your child just give them the tea at breakfast for the full 35 days.